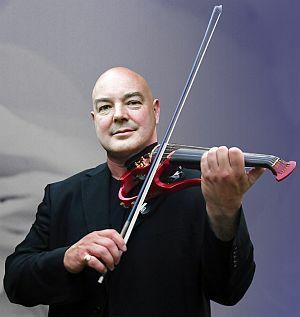 Pete Hartley is a virtuoso violinist and mandolinist with a 30 year professional career as a gigging musician, session player, composer, producer and teacher. Pete's background is in jazz music, and it was his lightning-fast, highly improvisational style that brought him to national prominence in the mid 1980's. A string of prestigious gigs and performances followed, helping Pete to amass a very impressive performing and recording CV in styles as diverse as classical, soul, dance, easy listening and pop, and securing his spot as one of Europe's most promient violinists. Pete has released over 20 albums and compilations in the past 25 years, and now runs musiciansbackingtracks.com - a site dedicated to producing pro-quality backing tracks for musicians. Pete is endorsed by Violectra violins. Find out how to 'make it' in the music industry and have a successful music career.